Beyoncé's Mother On Nipsey Hussle's Death: "Jay-Z Loved Him So Much"
Home>Music> Beyoncé's Mother On Nipsey Hussle's Death: "Jay-Z Loved Him So Much"
Tina Knowles has been involved in lengthy chats with Beyoncé, Solange and Kelly Rowland about Nipsey Hussle. Last week, there were conflicting reports about a trust fund that Jay-Z had set up for Nipsey Hussle's children after their father passed away. After verifying the source of the rumors, we quickly determined that the news was not authentic and that no such donation had been made. 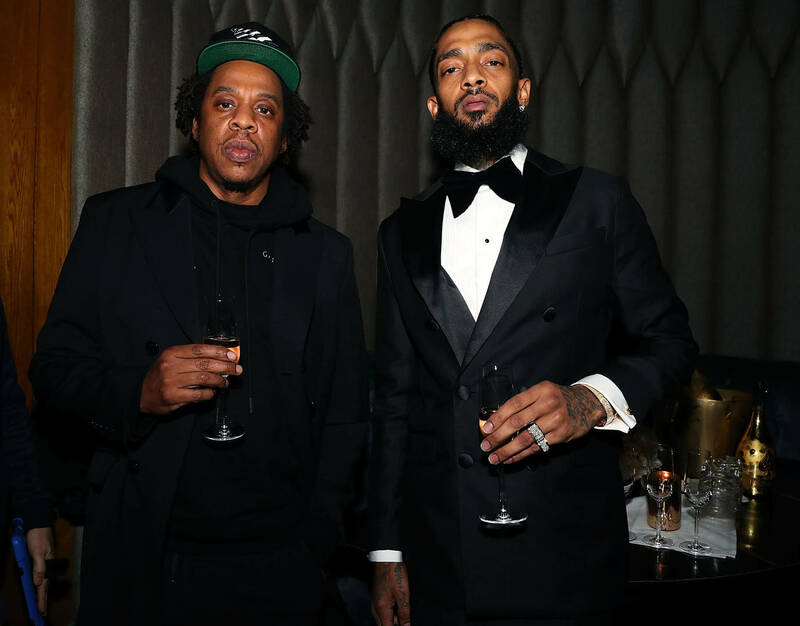 Jay-Z was extremely close with Nipsey Hussle and the late Crenshaw rapper worked closely with Hov's label. It's been difficult for us to process Hussle's death and many of us are relying on our loved ones and friends to get through this. Tina Knowles, Beyoncé's mother, is leaning on her two daughters and Kelly Rowland to fully understand Nipsey Hussle's death as she revealed that they've been involved in lengthy group text messages about his untimely murder. Tina Knowles spoke with Maria Shriver on an episode of her podcast yesterday where she spoke about how her family has rallied together after Nipsey Hussle's death. Tina, Beyoncé, Solange, Kelly Rowland and Kelly's niece are all part of a group chat and they've been mourning together with Tina noting that it's been "comforting." "I’m sure you heard about Nipsey Hussle being killed, so we’ve been on this group chat… the sadness about that, and the disappointment," said Tina Knowles. "He’s on my son-in-law’s label and my son-in-law [Jay-Z] loved him so much. He was such a great guy that the whole community is sad, but it’s really comforting to be able to be on that group chat and talk about it." Beyoncé issued a statement after Nipsey's passing, writing that she was "praying with every ounce of her heart." Nipsey Hussle was scheduled to meet with LAPD and Roc Nation to discuss ways to reduce gang violence in his city the day after he was fatally shot. MUSIC Beyoncé's Mother On Nipsey Hussle's Death: "Jay-Z Loved Him So Much"